There were quite a few good Blu-ray releases this week but I had to narrow it down to just a few must-haves for your hi-def collection. Yeah I know you want to replace your entire DVD collection with Blu-rays but look how long it took to build up your DVD collection. Get the good ones first. Many found this film offensive but The Passion of the Christ is a must-have for your hi-def collection. Careful with the kids, this is a film that contains plenty of graphic violence. It’s rated R by the MPAA and coincidentally the highest grossing R-rated film the United States (followed by The Matrix Reloaded). Directed by Mel Gibson, who also co-produced the movie, The Passion of the Christ was nominated for three academy awards including Best Original Score, Best Cinematography, and Best Makeup. The Blu-ray release comes in two-discs at 1080p resolution/2.35:1 aspect ratio with audio in Aramaic/Latin/Hebrew (this is a non-English film) coded in DTS-HD Master Audio 5.1. One of Quentin Tarantino’s early masterpieces Pulp Fiction is a tale of irony and violence structured in a non-linear narrative. The film won an Academy Award for Best Original Screenplay and was nominated for another six including Best Picture, Best Director and Best Actor. 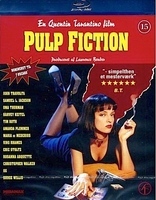 Pulp Fiction is loaded with stars including Uma Thurman, John Travolta, Christopher Walken, Samuel L. Jackson, and Rosanna Arquette just to name a few. Video resolution is 1080p with a 2.39:1 aspect ratio. You may notice this import is PAL formatted however the Blu-ray disc is region free and has no problem playing on BD decks or PS3 consoles. 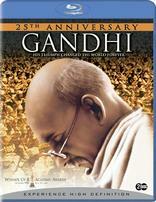 Finally, no Blu-ray Disc collection would be complete without the Academy Award winning Gandhi. The film won eight Academy Awards in 1982 including Best Picture, Best Actor and Best Director. The biographical film tells the tail of Mohandas Karamchand Gandhi, the spiritual and political leader of India during the first half of the last century who was assassinated in 1948. This is a film that will show off your home theater, with Academy Award winning Cinematography and nominations for Best Sound and Best Film Score. Video is coded in MPEG-4 AVC with a resolution of 1080p and 2.40:1 aspect ratio. Audio is formatted in Dolby TrueHD 5.1. The Gandhi Blu-ray disc comes with BD Live. is Pulp Fiction shipping right away? I heard somewhere that it takes longer to ship.